We are looking for experienced subcontractors looking to bid on works. These will have construction elements such as block work, excavation, etc. Sub-contracting of pond specific works may be offered subject to experience. 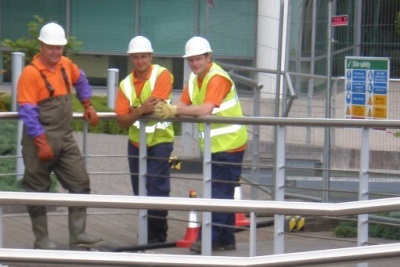 Training courses available to enable bidding on pond works. Please Contact Us to discuss your skills and experience, and types of work you wish to be considered for. Please see Position description for more information on the role. We have a vacancy for sub contractors looking to carry out pond works. These may have construction elements such as block work, excavation, etc. Training is available to enable bidding on pond works such as fitting filters, relining ponds, fibreglassing, etc. We have a number of branches requiring a large amount of sub-contract work and this position could lead to consistent work throughout much of the year. Please Contact Us to discuss your skills and experience, and types of work you wish to be considered for. Please contact us to discuss the position you are interested in.